This is a sponsored post written by me on behalf of The Clorox Company. All opinions are 100% mine. I think most of us dream of having a perfectly clean and inviting house at all times. With 7 people in our household, our house isn’t consistently clean. In fact, there are times it even gets stinky. Diapers, trash, food (particularly fish), cooking smells, and other malodorous smells are just a part of everyday life in a busy household. 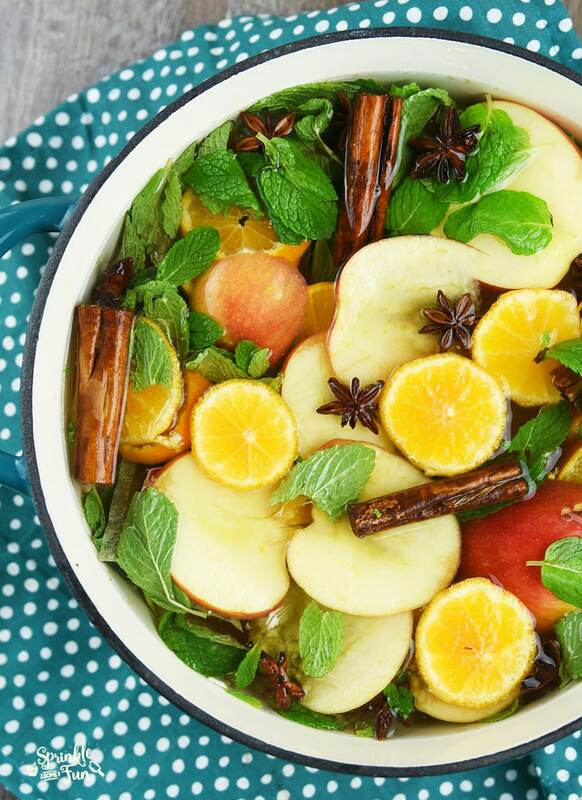 I rely on these 5 Easy Ways to Make Your Home Smell Great, to ward off any stinky stench! A lot of scented products available just cover up odors! When looking for cleaners I am interested in both the cleaning power and the amazing scent. 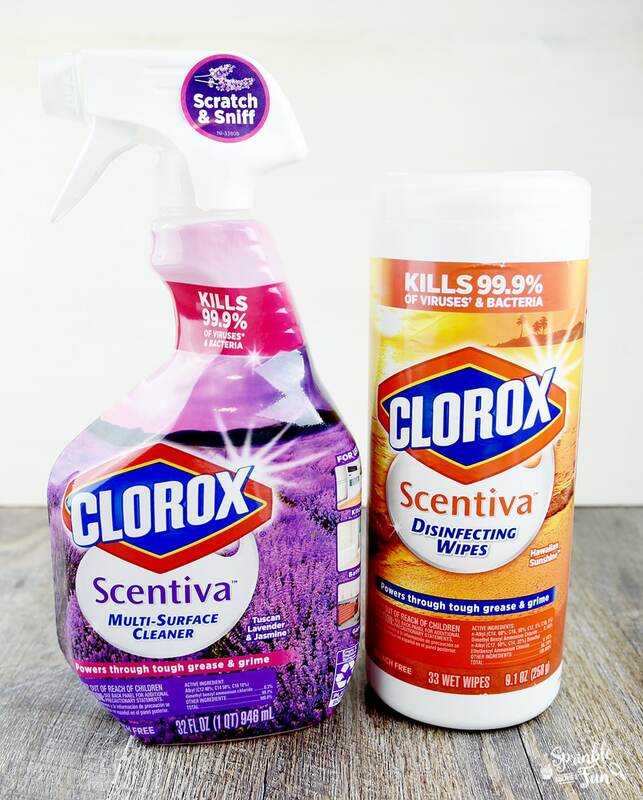 Clorox Scentiva satisfies both of those needs. It’s really an all in one solution because it cuts through grease and grime (huge reasons for bad smells), and comes in amazing scents like Tuscan Lavender and Jasmine & Hawaiian Sunshine. 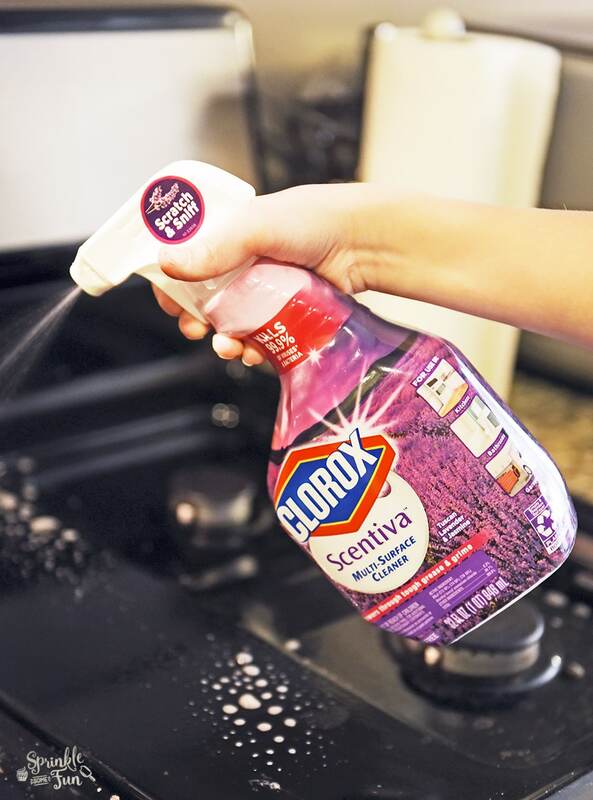 Clorox Scentiva kills 99.9% of viruses & bacteria and is available in both spray and wipes. This is probably the easiest way to get rid of lingering smells in the air. Just let a cool breeze come inside by opening up the windows or doors. This may not be practical at all times of the year, but it can be a great way to make your house smell fresh again. 3. Bake bread or sweet bread. 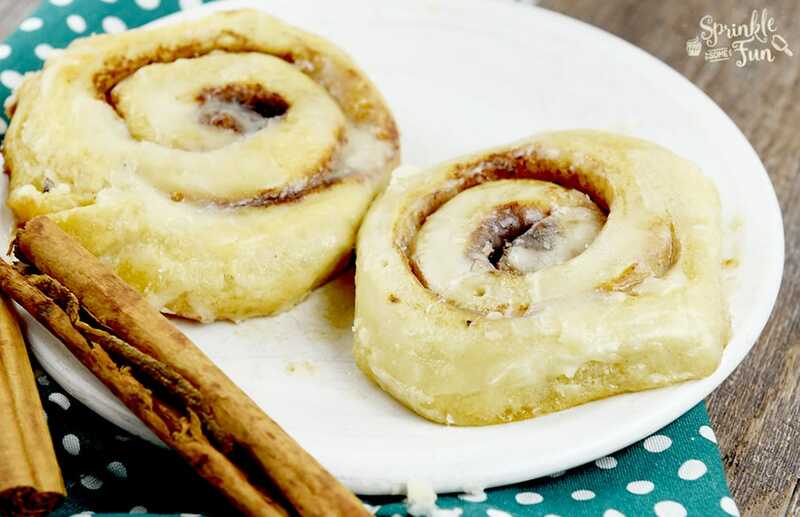 Cinnamon rolls, fresh butter rolls or a loaf of homemade bread… most of us agree that this makes for an inviting home! This may only be a solution to “cover up” any smells, but it also tastes great! I think your company will be glad you baked too. I still remember when my mom had guests over, she would often place a pot of potpourri on the stove to simmer all day. The smell was so amazing! This is a great option for those times that you can’t open up the window. I like to use fresh fruits that have gone a little past their time like apples, oranges, lemons, and cranberries. 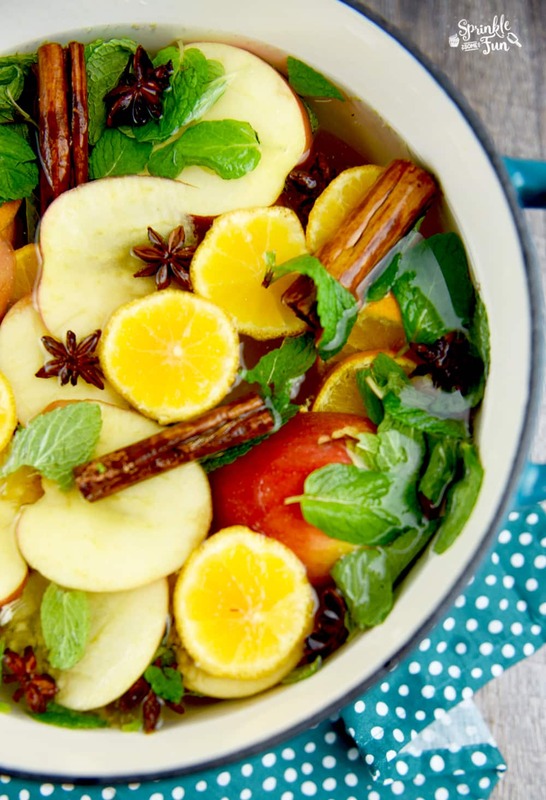 Mix it with rich spices like star anise, cinnamon sticks, spiced tea, cloves, and mint. Put it all in a big pot filled with water and let it simmer on the stove or in the crockpot all day. Just make sure your home to watch it. Linens like sheets, pillowcases and comforters need to be washed regularly. Couch cushions and curtains can sometimes be washed (check the tags), steam cleaned and vacuumed with the upholstery attachment. Make sure carpets are vacuumed and steam cleaned professionally every once in a while too. Use these 5 Easy Ways to Make Your Home Smell Great and you won’t have to worry about odors as much. Just make sure that you are cleaning as well as covering up odors! Scentiva easy to use and smells great. With one easy step, your house is clean in addition to smelling amazing. What are your favorite ways to keep your house smelling great? Be sure to grab the Cartwheel offer for Scentiva at Target!